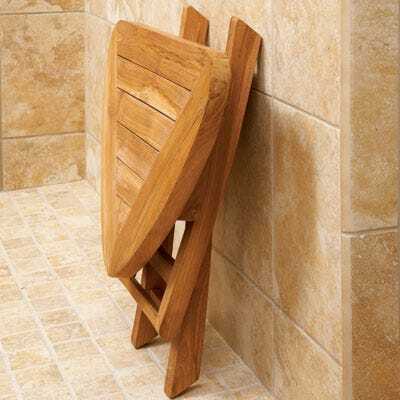 A triangle shaped solid teak seat for use in the shower or for dressing. Contoured corners allow for a space saving fit in the corner of your shower. Folds to just 2 inches thick for convenient storage. Measures 20"l x 15"w x 17"h. Weight limit of approximately 220 lbs. Fully assembled. Extremely Satisfied ... Only wish I had bought much sooner. Exhilarating experience to shower sitting, rather than having to stand (given that I'm not as young as I once was)! Well pleased with the Teak Wood. J. Pep (A Happy Camper) Especially since we have a New Supreme Court Justice. Everything I expected. Somewhat expensive, but worth the money. Beautiful teak and sturdy. 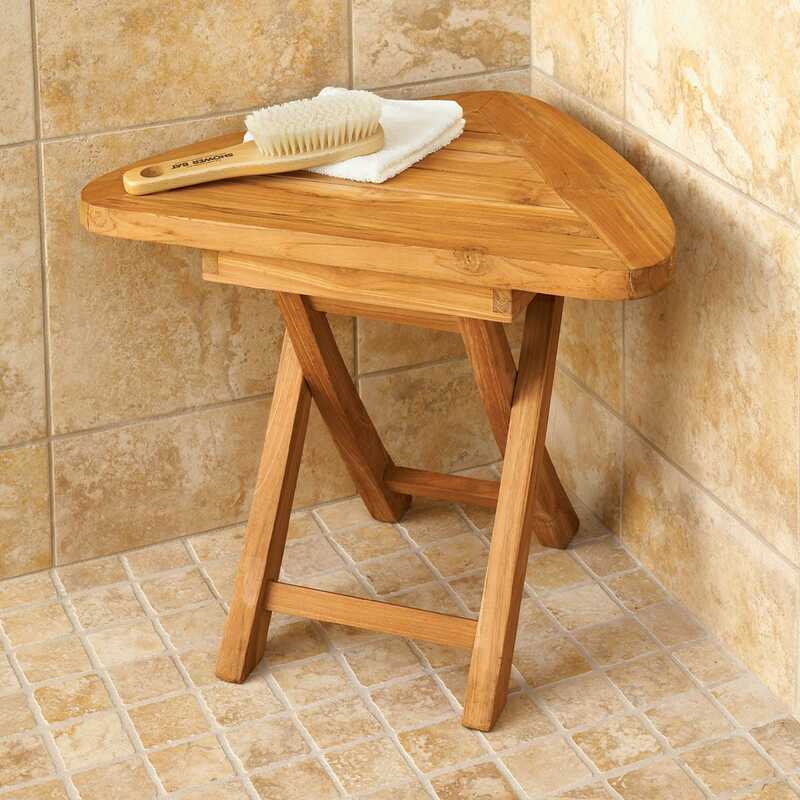 Can be used for furniture (which we decided to do after seeing it) instead of in the shower.